[ADVERT]In 2012, we said goodbye to The Batman, marvelled as 007 celebrated 50 years and helped The Avengers become the third highest grossing film of all time. The Twilight Saga came to an end as well, much to the the relief of R-Patz (in 2013 he is starring in films directed by the likes of Werner Herzog, David Cronenberg & James Marsh) and Ridley Scott divided audiences with Prometheus, as did Paul Thomas Anderson with The Master. Argo was the surprise box office hit, as was the enjoyable Intouchables and The Expendables 2 turned out to be quite a lot of fun. 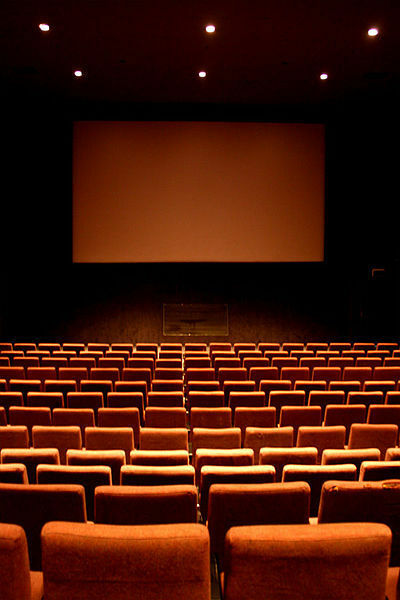 But along the way you might have missed some of the 'smaller' films to pass through theatres this year. This by no means is a definitive list, but it does feature 'some' of the exciting releases that may have gone unnoticed. First up, The Raid dubbed The Raid: Redemption for English speaking audiences. If there was one director who made his mark in 2012 - it's Gareth Evans. With The Raid, Evans created an old school martial arts action flick which resonated with audiences worldwide - there is already talk of US remake and a sequel in the works. Written for martial artist, Iko Uwais, who previously starred in Merantau, also directed by Evans, The Raid was designed to showcase Pencak silat, an Indonesian style of martial arts and pays tribute to the 80s action heroes and action films Evans grew up with. Speaking of thoroughly entertaining action films, with 'real' action stars, Haywire, directed by Steven Soderbergh stars Gina Carano, a former mixed martial artist. This thriller had a 'quiet' theatrical release this year, despite a pretty impressive cast featuring the likes of Michael Fassbender, Ewan McGregor, Bill Paxton, Channing Tatum, Antonio Banderas and Michael Douglas. Whilst the plot of Haywire could be considered convoluted (it's Soderbergh, afterall) it features some great action set pieces. Cold is the best word to describe Cosmopolis, directed by David Cronenberg. Starring Robert Pattinson, Cosmopolis isn't an 'enjoyable' film and it shouldn't be. If you are familiar with Don DeLillo's novel of the same name, you will know this is soulless world, and Pattinson rightfully gives a dead eyed performance as Eric Packer, a 28 year old multi-billionaire. There is barely any humour (well, not intended) and almost all of the characters are unlikeable - but Cronenberg's direction is remarkable. From one great director to another, Amour is latest celebrated film from Michael Haneke. Starring two icons of French cinema, Jean-Louis Trintignant and Emmanuelle Riva, this engaging drama is one of Haneke's most heartfelt films. Moonrise Kingdom also depicts 'love', but this time between two very odd kids - Sam Shakusky & Suzy Bishop. In this Wes Anderson directed feature, Sam and Suzy's forbidden romance is seamlessly intertwined with the stories of various members of the New Penzanc community and being an Anderson film - there really is a lot to admire. Oh, and the Anderson family has now extended to Edward Norton, Bruce Willis, Frances McDormand and Harvey Keitel. Trust Aardman Animations to make a fun family adventure. The Pirates! Band of Misfits is a great little film, highlighted with the voices of Hugh Grant, Martin Freeman, Imelda Staunton and David Tennant. This was a modest box office success but it really is one to check out - it is quietly clever and if you love Aardman - you are sure to enjoy The Pirates! 2012 is apparently the year the world ends - so it timely that you check out Seeking a Friend for the End of the World, a comedy drama unusually pairing Steve Carell with Keira Knightley. What makes the film unique is the depicted chaos going on around Carell and Knightly's characters, particularly in the first half of the film - and whilst the film descends into stock rom-com territory, with Knightly's character as the Manic Pixie Dream Girl, the unexpected emotional performances are what make Seeking a Friend for the End of the World an enjoyable experience. 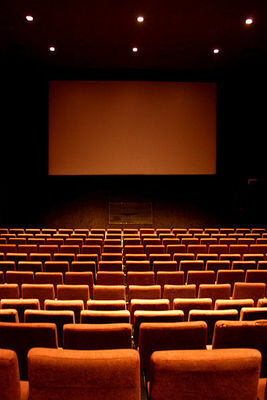 So that is 7 picks - share with us which film titles you enjoyed this year by leaving a comment. Great article - Seeking a Friend for the End of the World is the only one I've seen and it was surprisingly likeable. Will have to check out the others. Thanks for providing a link to my review of Argo......it has hardly had any hits at all! Great article. I've seen some of the films you mentioned. Might have to pop down to my local video store and rent some of the other ones you mentioned.